What Flower is Your Mom? To create a stand-out Mother’s Day, start with a memory. Get a pencil and think of all the special times you shared with your mother – how she was there to help you with your homework, drive you around, make your meals, read you a story, put you to bed, take care of you when you were sick … the list goes on and on. Jot down a sentence or two about details you recall most vividly – can you almost taste the lasagna that she made for your birthday, with that secret ingredient she would never reveal? Maybe you remember the hand-lettered posters she made when you ran for student council. Or the time she took you and your friends to see the Rolling Stones. Is there some special interest or hobby you have because Mom took you on a trip or gave you a book on the subject? A lesson she taught you that has been a lifesaver on countless occasions? Granted, we don’t all have perfect relationships with our mothers. So, if you’d rather look to the future than the past, ask yourself if there are ways you could patch up any differences and get closer to Mom. Along with the note, consider telling Mom how you feel. It may or may not be hard for you, but she’ll love hearing it. Another idea is to buy her a journal and personalize it by pasting photos on a few of the pages. Write down your funny or touching memories – what you wore, what you ate, what you laughed at until you cried. Who knows, maybe you’ll inspire her to write her memoir on the rest of the pages. 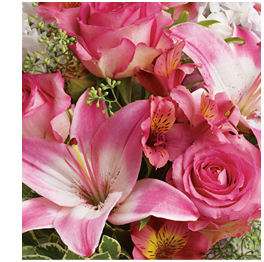 The perfect complement to notes, cards, photos and journals is a gorgeous arrangement of fresh flowers. A celebration of spring colors and graceful forms, a hand-delivered and hand-arranged bouquet exquisitely underlines your heartfelt thanks for all she’s done for you and how much she means to you. 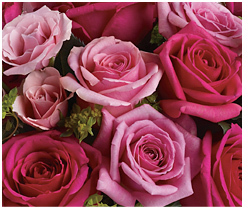 When choosing fresh flowers for Mother’s Day, you can’t go wrong with pink roses, a symbol of gratitude and appreciation, or pink carnations, which represent maternal love. A mixed bouquet is another great candidate and it’s a gift the whole family can share and enjoy. 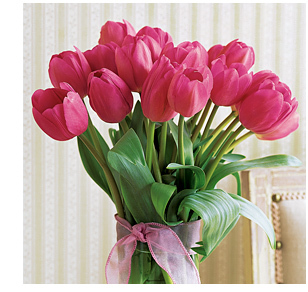 Flowers – just like Mom – make us all feel good. Presenting your floral arrangement in a cute keepsake along with a note, card, framed photo or personalized journal means Mom has gifts that endure long after the blooms are gone. And, finally, here’s some Mom-like advice to encourage you to plan: Don’t wait till the last minute to jog your memory, pull out your pictures and order your bouquet. See? She was right all along.